Kaskade Australia came to us with a problem. 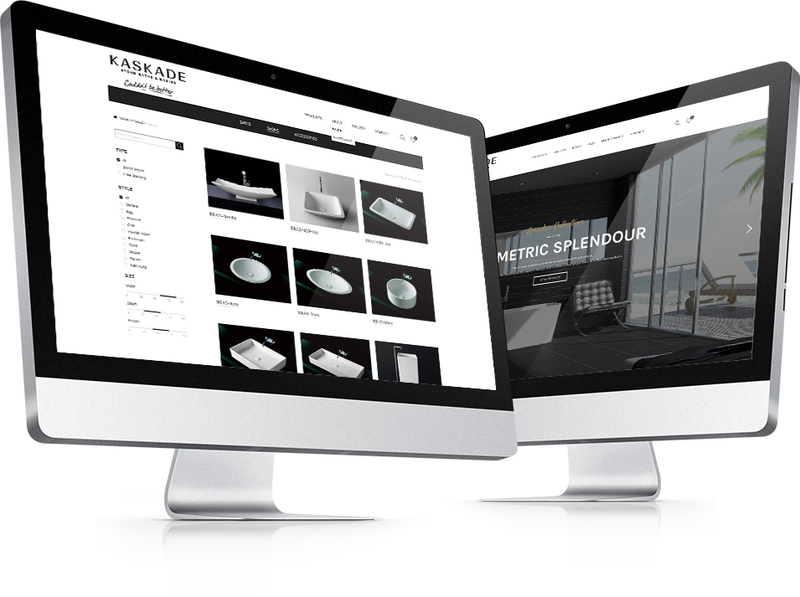 Their luxury stone baths & basins brand was suffering from broken online communication, meaning that their website content, design, user journey and therefore its brand message were not being satisfied and translated effectively to their target market. Not only this, Kaskade staff were finding it difficult and time consuming maintaining their content when updating it from the back end. In order to overcome these issues it became our challenge to rebuild and create a website that fulfilled Kaskade’s promise to it’s customers and employees. We knew that in order to reinvigorate the brand and generate more website traffic a new direction needed to be taken, so we got to work. First we created a new theme and designed a user interface that was beautiful in its simplicity and easy to navigate. We overhauled the content and imagery to that which sets a new tone and this time telling Kaskade’s story and conveying their personality. This needed to transfer key brand messages of simplicity, luxury and history. Next through internal testing and optimisation we were able minimise the effort that back-end users needed to take when maintaining the website giving our client more time to focus on its customers and growing the business. Since the implementation of our new website design Kaskade has been able to increase organic search to the website by 90%. Direct clicks to the website have increased by 50% and social clicks by 80%. These increases meant that homepage views went from 362 views in 2016 to a staggering 5646 views in 2017.